Since March of 2000, I have been the Drug Testing (DT) Chairman. What that means is I oversee and direct the DT of USA Powerlifting. I also send out the letters to notify the athletes when they fail a drug test and set-up the Out of Meet Tests (OMT) on the various athletes in our organization. After I took over the duties as the DT Chair, I decided to start keeping track of all DT done by USA Powerlifting. What that entails is whether the test results are either negative or positive, I track them. Everything about the test is placed into a database for future use. One of the interesting aspects of doing this is I am able to track a history of testosterone to epitestosterone ratios (TE Ratio) on each athlete, negative or not. This enables me to see a deviation of an athlete’s normal or average TE ratio. For example, if athlete A averages over 12 tests a TE ratio around 1.2 and has a negative test come back with a TE ratio of 3.8, that athlete may be selected for an OMT as there was a substantial increase in their TE ratio from the normal levels seen for them. This will continue to be an ongoing project as I will be tracking all 700+ drug tests done every year. The following are some interesting trends and results of tracking this information from March 1, 200 to May 1, 2001. TE Ratio: We have had some as high as 411 to 1, 181 to 1 and 150 to 1. In the last 4-6 months I have noticed an alarming trend among the negative tests that have come across my desk: the negative TE ratios on a whole are staying the same generally, but I have seen more and more TE ratios lately with ratios from 3 to 1 up to 5 to 1. These are negative tests as the allowed level is anything under 6 to 1. However, since this trend started showing in the last 4-6 months, it alarms me. Positive tests from 3/1/00 – 5/1/01 numbered 57. Nandrolone: Everyone by now in the strength field has probably heard of nandrolone. We had 39 A sample positives for nandrolone out of the 57 total mentioned previously. Of those 39 A sample positives, 26 were positive only for nandrolone, the rest were combined with another banned steroid. We also had 5 B sample positives that were only positive for nandrolone in that same time. These B samples had their corresponding A samples also positive for the same substance: nandrolone. Seven B samples were requested to be tested after the A sample had failed. These B samples failed for the same substance as did the A sample. The 7 B samples failed for: nandrolone (5), boldenone (1), and methyltestosterone (1). There has been some recent information regarding the specific gravity of the positive samples. If the level of the specific gravity of the positive sample is higher than 1.020 and the positive substance was nandrolone, then the use of a formula has been used to reduce the levels of nandrolone. The thinking here is if the specific gravity is greater than 1.020, then the sample is considered concentrated and the athlete was presumed possibly dehydrated at the time the sample was given. The IOC has used this in 1 case so far that I am aware of. 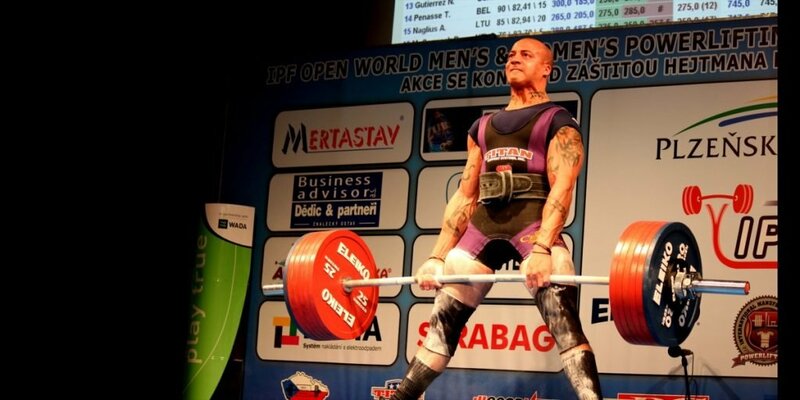 USA Powerlifting and the DT Committee are looking into this further. There has been some recent questions as to the possibility of endogenous nandrolone. Up until recently, unless you were taking exogenous steroids, there were not nandrolone positives. Now we have people who are having nandrolone show up in their tests and they are stating they have not taken any steroids. Endogenous nandrolone? I don’t believe this is possible. There were not problems with this 10-15 years ago unless, as I said earlier, you were taking exogenous steroids. What could be causing these positives tests by people who claim they are not taking steroids? If these athletes are truly clean, then I suggest it is either coming from contaminated supplements, our food supply and maybe even the water supply (stretching it here, but water supply has been known to carry many different chemicals). I hope we can find what is causing this if the athlete is truly not taking steroids. In the coming year I hope to establish some criteria and possibly some testing programs to create a well-structured Drug Control Officer (DCO) corp. This would be utilized mainly at the National and International levels, but anyone is welcome to become a DCO. What I hope to accomplish here is standardization of protocol and procedures for testing. Last, but not least, accuracy of test taking. I cannot stress this enough: make sure you dot your “I’s” and cross your “T’s” before sealing the Chain of Custody document in the lab box. Read the form 2, 3, 4 times. Take your time. If it is wrong, throw it all out and start over. I would rather you take more time then be in a hurry or not want to do the test over and have it be for an athlete whose results were positive. Athletes: if you are not happy with the procedures of the test being given to you, don’t sign the final line and then ask to re-do it. Throw away the test and start all over again. Better to be safe than sorry. Michael A. Hartle, D.C., D.A.C.B.N., C.C.N., C.C.S.P., C.S.C.S.